Thomas Pickens Brady (pronounced Braddy) emerged as a prominent segregationist after the publication of his 1955 book Black Monday. Born in 1903 and raised in Brookhaven, Mississippi, Brady earned a bachelor of arts degree from Yale in 1927 and a bachelor of laws degree from the University of Mississippi Law School three years later. Brady returned to Brookhaven and practiced law in his father’s firm. Brady worked on Paul Johnson’s campaign for the governor’s office and became active in the state’s Democratic Party in the 1930s. 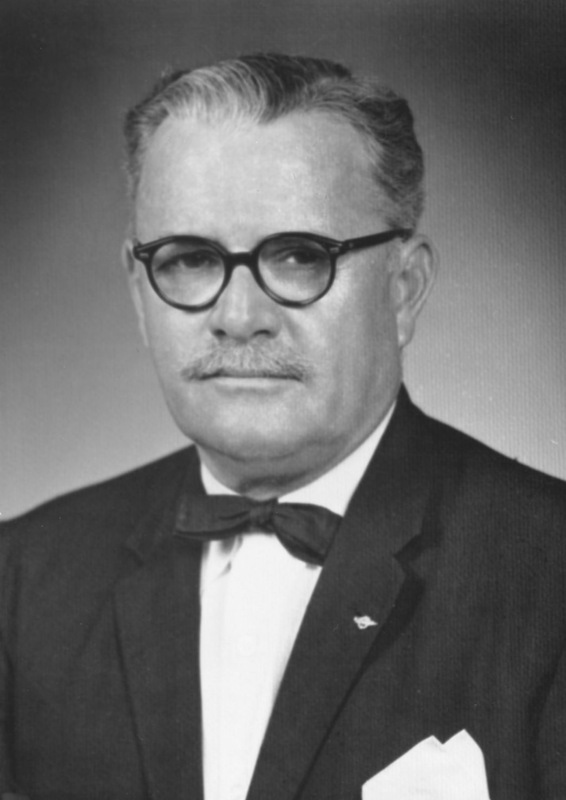 He served as a States’ Rights Party delegate at the 1948 Democratic Convention and denounced much of Harry Truman’s Fair Deal and civil rights agenda. In 1950 Brady’s tireless political energy secured him a seat as circuit court judge in Mississippi’s 14th Judicial District. When the US Supreme Court handed down its decision in Brown v. Board of Education (1954), Brady found the ruling contemptible and expressed his views in Black Monday. The work, which became a handbook for segregationists, developed from Brady’s speeches and writings and his ardent belief that Brown represented a usurpation of states’ rights by the federal government. Black Monday, a combination of legal arguments and specious anthropological ideas, called for the popular election of Supreme Court justices, a youth education program on ethnology and communist infiltration, the elimination of the National Association for the Advancement of Colored People, the abolition of public schools, and the creation of a forty-ninth state for African Americans. Brady also argued that the separation of the races preserved an orderly society and that a disregard for southern mores would create racial turmoil. He urged white citizens to prevent racial amalgamation. Black Monday won accolades from segregationists and other conservatives and raised money for the White Citizens’ Council. Brady was an architect of that group, helping to write its charter and bylaws and traveling the country as its spokesperson. He viewed the Council as a peaceful organization that could stop a race war and serve as the core of a new grassroots conservative party to thwart the encroachment of socialism and the disregard for law at the federal level. Brady represented Mississippi as a delegate at several Democratic conventions. In 1963, he filled a vacancy on the Mississippi Supreme Court, remaining on the bench for the rest of his life. Despite his strong rhetoric and prejudiced views, Brady firmly denounced violence and honored his oath to follow the Constitution and laws of the United States. Despite his personal views, Brady ruled in Bolton v. City of Greenville (1965), for example, that African Americans could use a traditionally segregated public park. One year later, Brady reversed the conviction of an African American because blacks had been excluded from the jury that indicted him. In January 1973 Brady died of heart failure.